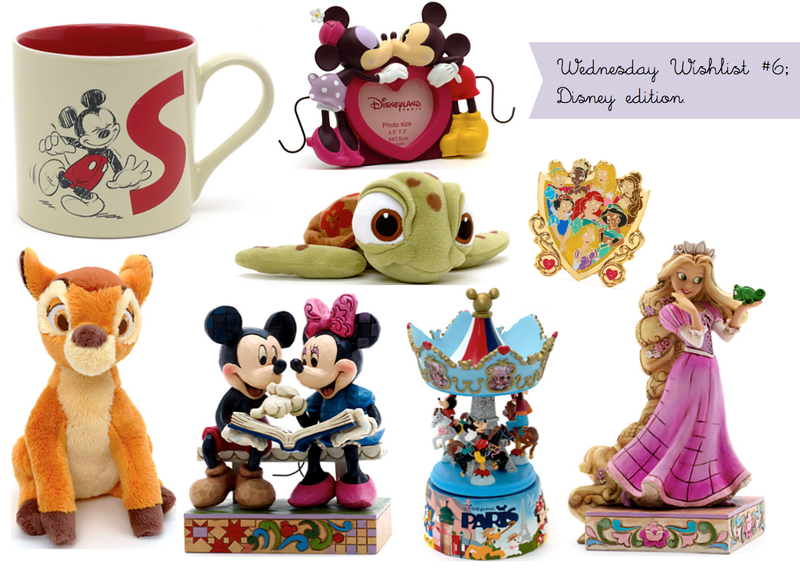 Wednesday Wishlist #6; Disney Store. Are most of you a lot like me and hate the thought of officially growing up? With myself I kind of use my love of disney as the reason to why I'll never fully mature, and I'm sure that's the same with most people. I went into the store with a friend last week and I've restrained for a while as nothing has really been new, but I came across a few new items & even brought a Frozen Elsa & Anna pen (...which I'll be using for my shops needs), so I thought I'd pop on the website and have a full browse for this weeks wish-list. After finding more of the figurines, I think I'm going to start a little collection with minnie & mickey and Rapunzel next on my list. I also love looking at the Paris collections as it makes me convince myself everytime that I'm preparing myself for a trip to Paris and I'm eyeing up the things I need to buy while I'm there, it's a sad realisation when I remember that I'm not actually going to disneyland…but look how cute the carousel figurine is and the photo frame, I really want it! Also around summer last year I came across Pin trading and this collecting that happens throughout Disney parks, obviously as I'm not going any time soon I purchase a lanyard and some pins last year for absolutely no reason & this disney princess one looks amazing. As a 21 year old I possibly shouldn't admit that my bed is being taken over teddy bears or that half of them are Disney ones, but it's true and even now I still look for more. As we were shopping my friend picked up a new teddy & ever since I've wanted one too! So I've been eyeing up this adorable Bambi and I've been wanting this tiny little squirt for a while now…kind of like a substitute for the turtle I don't have. What items are you loving from the Disney Store at the moment? Where else do you find the best disney items from? Love this wishlist! A Disney wishlist is always the best type after all. I love the Jim Shore Disney ornaments, my mum collects them so we've got a house full! I love the Disney Christmas decorations the best, they're always so pretty! Hi dear, I really love your blog, maybe we can follow each other via Bloglovin, GFC or facebook? let me know on my blog and I’ll follow you back asap. Great wishlist, I do love a Disney one so I can get even more ideas of things to buy to clog my house and annoy my husband haha. Thankyou! Isn't it, the urge to purchase everything is still pretty strong…maybe it'll all have to go on my (already long) christmas list haha. Me too! I'm thinking the mickey and minnie frame would be perfect for a photo of me and my boyfriend, cheesy hehe. Me too! Ah I have an Ariel & a tinkerbell one, I just want more after looking at them online! Oh that sounds amazing! Going to have a nose online at those ornaments now! same! I do the exact same thing, I try and walk past like I don't want to look in, but everyone knows me so well and lets me go have a wonder, oops! Ahh, I love this post! I haven't had a Disney Store stalk for a while, but I may have to after seeing this. That Rapunzel figurine is beaauutiful!